There is Biological Science all around us in our beautiful grounds. We have lots of different plants and creatures sharing the school grounds with us. We also have food garden plots and an orchard behind them. Some trees have fruit on them. 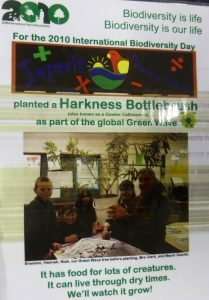 It’s a great place to be in the UN Decade of Biodiversity 2011-2020, aiming at Living in Harmony with Nature. 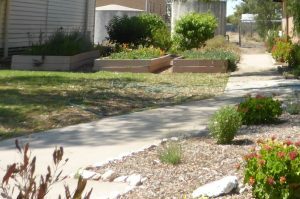 The three garden plots were planted first in 2010. Some of those plants (the native bush food Pigface) are still growing in them. The fruit trees were planted a couple of year later. 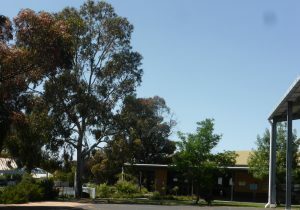 Another new garden is being established in 2010 where the classroom used to be. 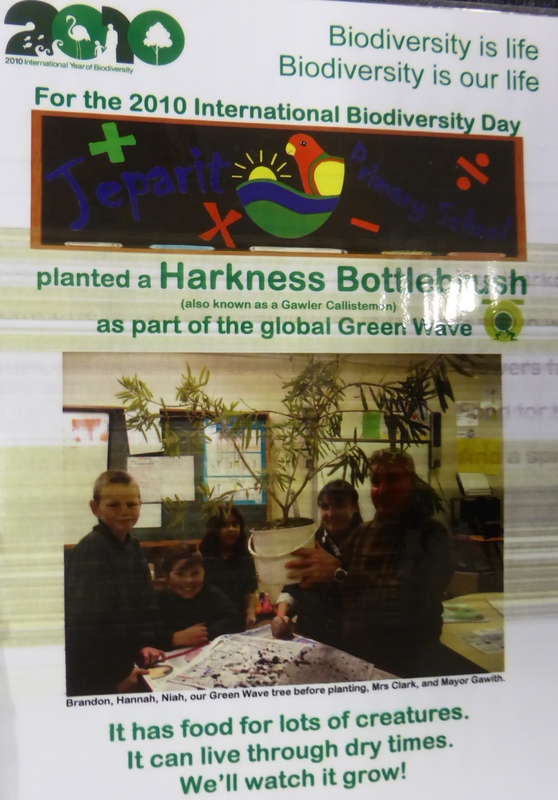 We also planted a Harkness Bottlebrush for the 2010 IY Biodiversity as part of Green Wave – the global planting. The 2010 Juniors wrote a book about the kind of life that it would support as it grew bigger. On the last day of school, we read that book, while under a nearby shady tree You can read that here: jps-harkness-callistemon-planted-2010 . It takes a long time to grow a tree- it is not very tall yet, but it did have red flowers in spring. We have plants from all 4 levels – ground cover, bottom, middle and top. There are many birds, little lizards and insects living in our grounds too and a fish tank inside. 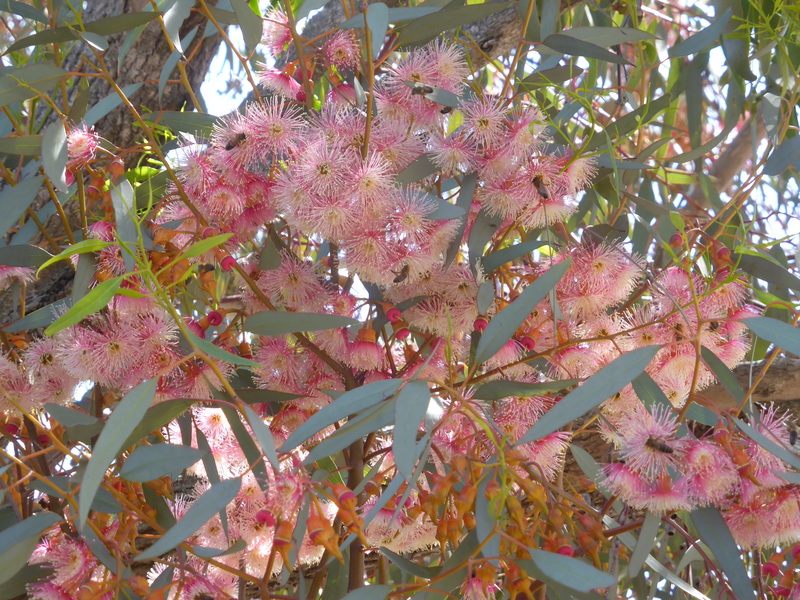 With the big gums and their pink flowers in early summer, there were so many birds in our trees. Looking closely at the blossom, there were bees and ants feeding on it too. We all enjoy the shade they provide. Jeanie Clark, senior class teacher and Science teacher.